2018-19 Representative of the Hellenic Republic to the Council of Europe, Platform on Ethics, Transparency and Integrity in Education (ETINED). International Greek-Turkish Philosophy Conference (Humboldt-Kolleg): The Flight of the Owls. Forms and Ways of the Reception of Greek Philosophy in Germany (Aristotle University of Thessaloniki, 2016). Conference on Plato’s “Phaedo” (Aristotle University of Thessaloniki, 2017). Postgraduate Student and PhD Candidate Workshop (Aristotle University of Thessaloniki, 2018). Symposium on “Aristotle in the Continental Philosophy of the 20th Century”, in the framework of the 5th Greek Conference on Philosophy of Science (University of Athens, 2018). Co-organization of the International Conferences Readings of Aristotle (University of Nicosia, 2013) and Parmenidean Ways: The Poem and its Reception (University of Leipzig, 2015). Member of the Scientific Committee of the 7th Central and Eastern European Conference on Phenomenology: “Phenomenology and Aristotle” (St. Petersburg, 2012). 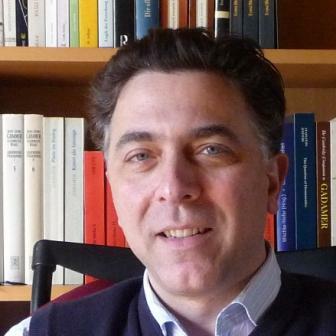 Founding Director of the Greek online journal for philosophical reviews Critica (www.philosophica.gr/critica, 2009-14) and Member of the Advisory Committee (2015–). Responsible for the planning and the operation of the website www.philosophica.gr (2009-14). “Plato of Elea?” – SUNY at Stony Brook, 4/5/1995. “The Poem of Parmenides: Περί Φύσεως?” – Postgraduate Seminar, University of Crete, Rethymno, 29/10/1998. “Heidegger, History and Ontology. The ‘Turn’ as Return” – University of Crete, Rethymno, 14/3/2000. “Heidegger and Hermeneutics” – Greek Philosophical Association, Athens, 19/4/2001. “The Ontological Difference in Parmenides” – Heidegger and the Greeks, American College of Athens, 8-10/7/2003. “Wie viele Doxai gibt es bei Parmenides?” – Frühgriechisches Denken, University of Regensburg, 24-25/10/2003. “Hegels Hermeneutik der Geschichte” – University of Tübingen, 26/6/2007. “Rhetorik der Alltäglichkeit. Zu Heideggers Auseinandersetzung mit Aristoteles” – Universität Heidelberg, 10.7.2007 / Universität Freiburg, 9.7.2008. “Parmenidean Dualisms” – International Symposium: “Parmenides, venerable and awesome”, Universidad Nacional de San Martin, Buenos Aires, 30.10.-2.11.2007. “Phronesis vs. Sophia: On Heidegger’s Ambivalent Aristotelianism” – Academy of Athens, 23/6/2010; Aristotle’s “Nicomachean Ethics”, Book VI. Intertwining Interpretations, University of Patras, 25-26/6/2010; Phenomenology and Ancient Greek Philosophy: Reappraisal and Renewal, University of Crete, Rethymno, 27-29/6/2010. “Δέον and Time. The Notion of καιρός in the Nicomachean Ethics” – Glück, Tugend, Zeit. Aristoteles über die Zeitstruktur des guten Lebens, University of Münster, 22-24/7/2011; University of Athens, 12/12/2011; University of Tübingen, 12/7/2012; University of Heidelberg, 24/7/2012. “Jaeger and Pre-Socratics: The Case of Parmenides” – Werner Jaeger: 50 Years After His Death, Aristotle University of Thessaloniki, 25-26/4/2012. “The Beginning of the Question of Being” – Heidegger’s Interpretations, University of Cyprus, 19/9/2012. 14. Response to Carlos Steel, “Keine Freiheit ohne Platonismus” – The New Desire for Metaphysics (2nd Bonn Humboldt Award Winners’ Forum), Bonn, 24-28/10/2012. “Heidegger on Crisis: Remembrance as Overcoming” – The Philosopher in the Face of Crises, University of Cyprus, 27/11/2013. “Varianten des Dezisionismus: Carl Schmitt und Panajotis Kondylis” – Deutschland und Griechenland im Spiegel der Philosophiegeschichte. Transfers im 20. Jahrhundert, Freie Universität Berlin, 12.-13.9.2014. “Parmenides in Freiburg. Varieties of the question of Being”, Peking University, 25/9/2014 ; “Parmenides in Freiburg. Die Parmenides-Rezeption Martin Heideggers”, University of Eichstätt-Ingolstadt, 26/11/2014. “‘Was für ein Tod?’ Zur doppelten Thematik des Phaidon” – University of Münster, 29-6/2016; University of Heidelberg, 11/7/2017; University of Bonn, 17/7/2017. “Heraklit: Eine Ontologie des Politischen” – Philosophy for the Polis (Fifth International Conference of the Gesellschaft für Antike Philosophie), University of Zurich, 6-9/9/2016; University of Patras, 6/12/2016. Planning of the BA programme of studies in Philosophy (offered since 2000/01) and of the Minor in Philosophy (offered since 1999/2000). Member of the Rules and Regulations Committee (1999-2001); contribution to the formulation and restructuring of the legal framework of the University of Cyprus. Member of the Finance and Personnel Committee (2001-02). Responsible for the electronic equipment of the Department of Classics and Philosophy (1999-2002). Member of the Faculty Board of the Faculty of Letters (2000-02). Member of the Senate (2000-02). Founding member and first President of the Academic Staff Union (2000-02). Co-editor of the annual Prospectus of the School of Philosophy and Education (2004-05, 2009-10). Member of the Studies Committee of the University (2010-11). Responsible for the Erasmus-Program (ECTS Coordinator) in the Department of Philosophy (2012-13). Responsible for the new website of the School of Philosophy and Education (http://www. edlit.auth.gr, 2013-). Director of the Department of Philosophy (2016-17, 2017-18). Member of the Governing Board (appointed by the Government of the Republic of Cyprus, 2014-18). Member of the Committee of Internal Audit and Procedures (2014-18).